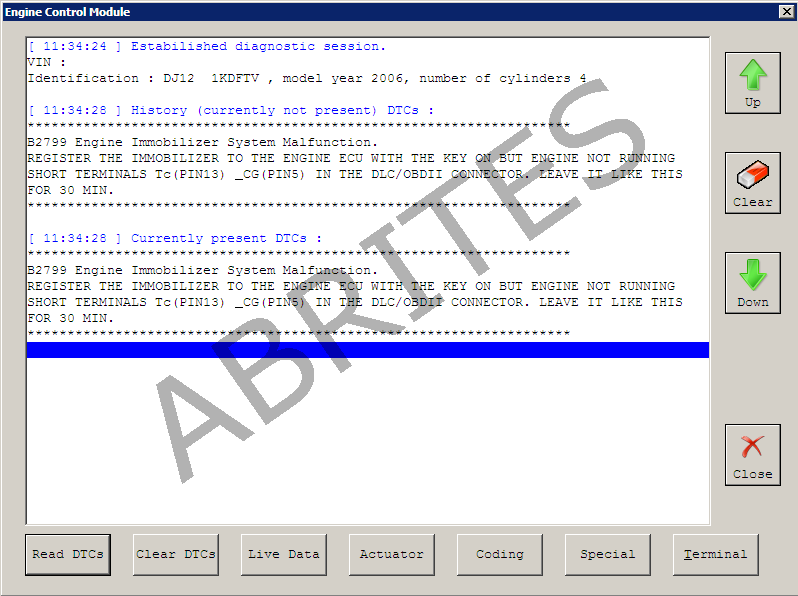 The Abrites diagnostics for Toyota/ Lexus/ Scion is a diagnostic software designed to assist the user to perform standard and advanced diagnostics on Toyota, Lexus and Scion vehicles. 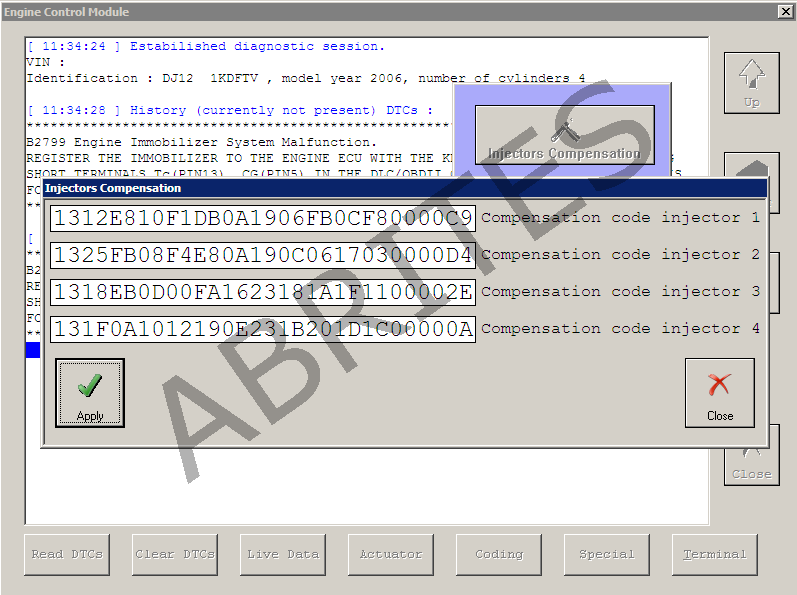 The basic diagnostics include complete module identification, reading and clearing of the diagnostic trouble codes, actuator tests as well as some more specific procedures such as suspension calibration for example. 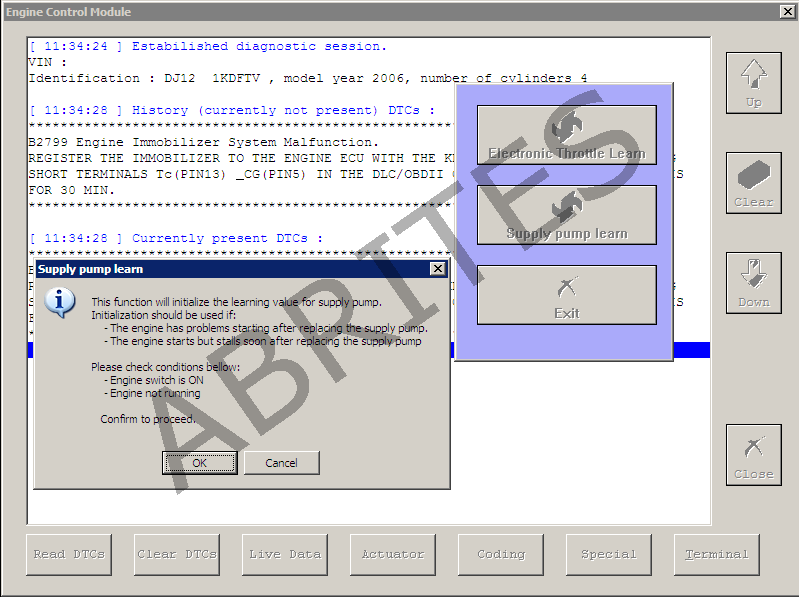 The advanced diagnostic features enable the user to perform dealer level diagnostics for procedures such as key learning, as well as ECU reading and updating. 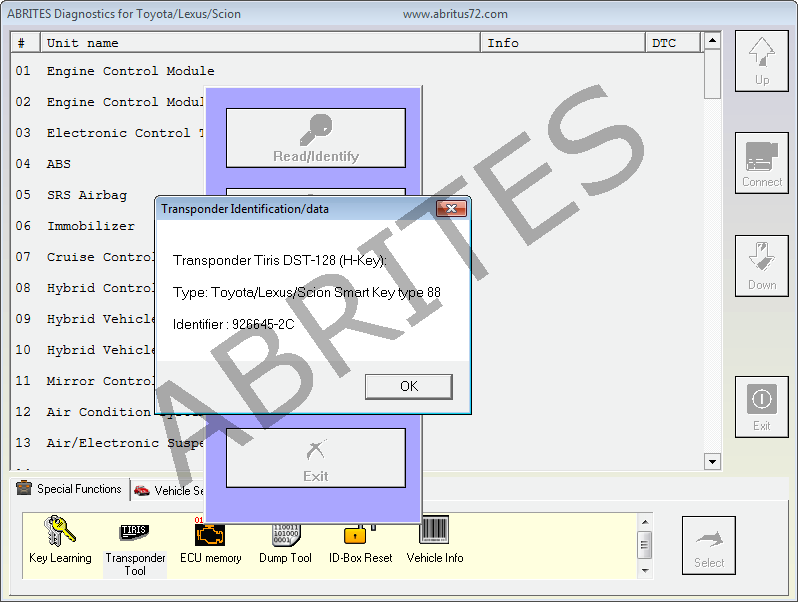 The key learning functions include a transponder reading and preparation tool with complete on – screen instructions as well as an ID box reset. 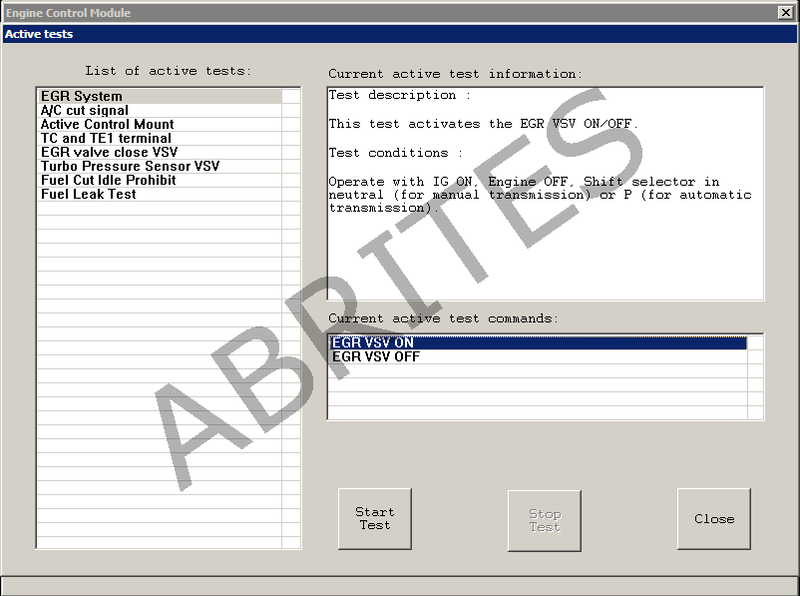 The key learning within the Abrites diagnostics for Toyota is an advanced option special function that provides a vast variety of models up until the current models produced.